The DeKalb County Planning Commission has approved zoning applications related to the North Decatur Square mixed-use development, which will include a Whole Foods 365 store. Deanne Thomas, President of the Decatur Heights Neighborhood Association, attended the Sept. 8 meeting and said the three applications – a reclassification of the property, a land use change and a special land use permit – were approved unanimously. The applications will be heard by the DeKalb County Commission on Sept. 27. DHNA released a statement this week in support of the North Decatur Square project. The North Decatur Square project will be located at North Decatur Road and Church Street. It will potentially include businesses with a drive through. Thomas said the special land use permit would allow for a bank with a drive-through. The developer has dropped a request for a restaurant with a catering drive through, she said. North Decatur Square will also have 200 to 300 apartment units. A certain percentage of those units will be “workforce housing” geared to lower income residents – like teachers, police officers and firefighters – who might not otherwise be able to afford to live in the area. 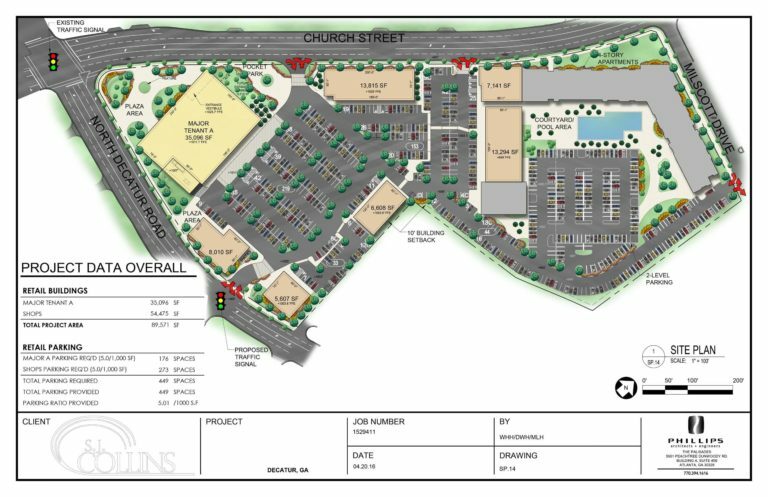 If the County Commission approves the project, the shopping center is expected to be open by spring of 2018.